Have you ever jailbroken an iPhone? 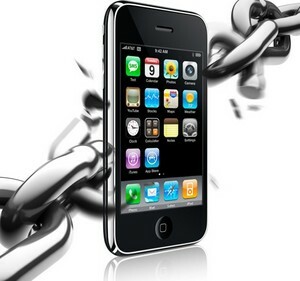 Ever used a software solution to “unlock” the iPhone’s SIM slot, freeing it from the shackles of its original carrier? Chances are, the iPhone Dev Team had something to do with it. This group, made up of some of the iPhone development scene’s finest minds, spends countless hours tearing apart the iPhone to make it do all of the things Apple won’t allow – and then figures out a way to make it work for everyone. It’s tough, unpaid, and often thankless – but they keep cracking away. Later tonight, the iPhone Dev Team is expected to release “yellowsn0w“, a long-awaited software-based SIM unlock for the iPhone 3g. Though they don’t often do interviews, we were able to gab with one of the members, Pytey, just hours before their big release for a chat about who they are, how they operate, and a whole lot more. How would you explain what the iPhone Dev Team is? The iPhone Dev Team is an international group of technologists that like to hack (in the exploratory and problem solving sense) and modify the iPhone in order to perform functions that the iPhone was not designed to do on day 1. In a vague sense (for the sake of anonymity), who is the iPhone Dev Team? A bunch of geeks who love taking things apart and seeing how they work. When we work out how it works, we make tools and utilities for ourselves and share them with the rest of the world. What would you say is the average age of the team? You guys are located all over the world – how do you manage to get anything done? We communicate over IRC (Internet Relay Chat), which is great as it is a tried and tested collaborative working environment. This allows us to talk to each other and cut and paste ideas, code fragments or other information that is relevant to the projects that we are working on. Usually the IRC clients of each member are running in the background, rarely disconnecting. This ensures that we can all read what happened while we were asleep or at a meeting – we can scroll up the screen and see what is going on. We use a file transfer application on a fileserver so that any of the members can check on the status of a particular project or download any of the working files. Is there any real “leader” or team hierarchy? No, most definitely not. We vote on major changes of direction or something that is a big-deal and that could cause any drama or hassle. Members complete tasks that are within their expert field. This self-regulation works very well and allows the team members to work together efficiently, the workload is distributed and we can get tasks completed quickly. This was demonstrated in real life (and in person) when we took part in the Chaos Communication Congress Capture The Flag Competition in Berlin. We won the competition with a fairly large lead. For most of us this was the first time that we had taken part in such a competition. It’s a ton of work split up amongst a number of people – is there much drama, internally? What sparked your interest in tearing apart the iPhone? The same interest that I had with tearing apart my Speak & Spell as a kid, then my Tandy CoCo, then my Atari ST. I want to see what is inside and see if I can make it better. If I find something cool I tell other people about it. Rough estimate – how many people would you say have jailbroken their iPhone using Dev Team tools? It’s hard to say because over the last 5 months we’ve moved to distributing the applications using BitTorrent, and we don’t have any real download stats. We do know that there have been 3.6M Sparkle requests since the 16th of July (a Sparkle request is a check for an update from our server). Considering most people don’t use our tools very often (only when there is an update from Apple), that is a fairly large number. It seems like a relatively thankless job – what’s the motivation? It’s a hobby. It’s fun. Some people relax with a fishing rod or book, most of us enjoy using our spare time in front of a terminal, disassembler or soldering iron. I’d assume that the majority of team members at least have an iPhone – but do most carry it as their primary handset? Are any other phones or devices popular amongst the team? looking for the next device, the next upgrade, the next vendor. These devices held my attention for a couple of months and I’d be spending my money on a new handset to get the next gadget high. This all changed with the iPhone, for my needs it is an almost perfect device, my eyes have not wandered at all. Does the team have a general opinion on the way Apple has handled the App Store and third-party development? If not, how do you feel personally? The development environment is great. Apple supply tools for free that can be used straight away, and the tools are feature rich and very slick. It’s a great way to get people developing for the platform. For someone who wants an easy 1-click way of getting apps onto the iPhone, they’ve done a great job with that application delivery method. It is also fantastic for developers as they can code and deploy an application without investing in large server infrastructure, they can design something and release it (and as we’ve seen in the press recently) make lots of money. .
What do you think about Android? Android is great. Some of our members are already working on the Android platform and they like it. It is great to have another UNIX-like operating system that is getting widespread adoption. I think it has quite a bit of catching up to do before it has the slick user experience of the iPhone, but I’m sure they’ll get there. Outside of the unspoken game of cat-and-mouse with each firmware release, has Apple ever made any sort of official contact? Have any Apple employees ever dropped any off-the-record insight? Is there currently any hope for a post-2.2 unlock? We believe the internals of the iPhone 3G BaseBand will be vulnerable to our patches in the future. We need to find a way of injecting these patches into the BaseBand with newer releases as we expect the method we are using now to be fixed. Is there a story behind the unlock’s nickname, “yellowsn0w”? How many man hours would you say went into making yellowsn0w happen? There has been constant work on the iPhone 3G device since they released it. This workload is hard to estimate, but lots and lots of hours. After the original iPhone was unlocked, a gray market of international iPhone sales sprung up. A good number of people were making a fairly hefty chunk of change – didn’t that make anyone on the team feel ripped off? Not really. We don’t care what people do with the devices they modify with our software, but we really do hate anyone passing off our software as their own and charging for it. We specifically forbid this but there are companies who just rip us off. They’ll have their comeuppance! Toying with the baseband is serious stuff – have you guys ended up with many Apple-brand paperweights? This happened in the early days, but we have a good understanding of the processors and architecture used in the devices, we are extra careful! What’s next for the DevTeam? Releasing yellowsn0w and then partying, we’ll see what 2009 brings us!